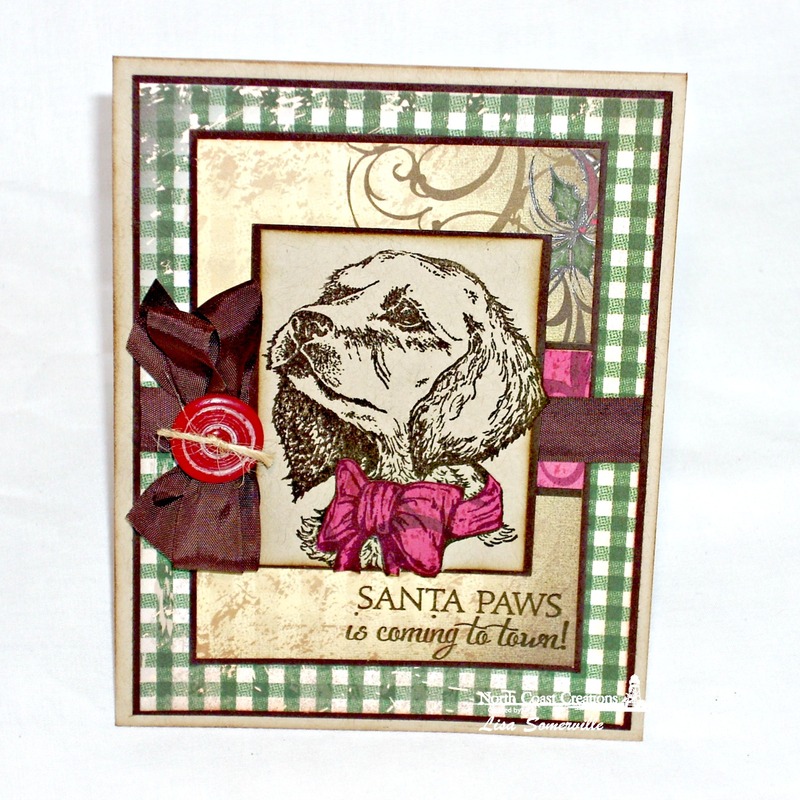 Don't you just love this sweet puppy, he's from North Coast Creations Santa Paws stamp set. If you're creating mass amounts of Christmas cards, this one is easily reproduced, as the image is stamped in Espresso Ink on Kraft card stock, no coloring needed! I used the Out of the Box technique to frame the image, and paper pieced the bow. The beautiful pattern papers are from Our Daily Bread Designs Christmas Paper Collection 2013. Awesome card, Lisa!! 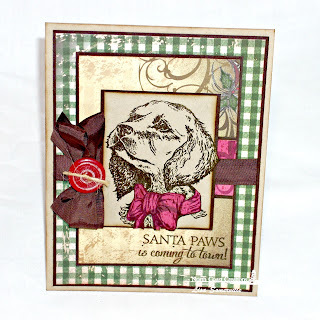 Love the papers you used along with your stamped image! The button is such a cute embellishment! adorable, love the pop of pink for the bow! How cute, Lisa! Love the colors and paper mix. The bow treatment is wonderful.